The winners of the 36th Annual Telly Awards were announced, with St. Petersburg-based advertising agency, Pinstripe Marketing, taking home a bronze statuette for its promotional video to introduce the Omnicell M5000. A panel of more than 500 judges reviewed more than 12,000 entries from all 50 states and around the world – one of the most competitive and successful in the long history of the Telly Awards, which honor outstanding local, regional, cable TV, and online programs, commercials and film productions. Omnicell tapped Pinstripe Marketing to help launch its first fully automated multimed packing solution to assist pharmacists in improving their patients’ medication adherence. The Omnicell M5000 system is designed to automatically pack, seal, verify and label multimed blister cards for institutional pharmacies serving long-term care facilities, retail pharmacies and hospital pharmacies serving ambulatory and discharged patients. The video highlights the health and system costs of patients not taking medications as prescribed and the benefits of an automated system that allows pharmacists to focus on their patients. Pinstripe Marketing, Inc. is a full-service advertising, marketing and communications agency specializing in technology and other service-based organizations including law, healthcare, engineering, architecture, non-profits and more. Services include marketing plan development and implementation, advertising, collateral design, event planning, media buying, web design, video production and public relations. For details about Pinstripe, please visit www.pinstripemarketing.com. Founded in 1978, the Telly Awards is the premier award honoring outstanding local, regional, and cable TV commercials and programs, the finest film and video productions, and groundbreaking Web commercials, videos and films. Winners represent the best work of the most respected advertising agencies, production companies, television stations, cable operators, and corporate video departments in the world. 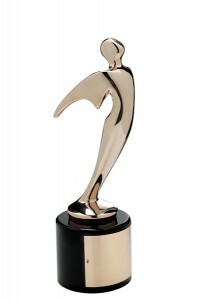 To find out more about the Telly Awards, visit www.tellyawards.com. Since 1992, Omnicell (NASDAQ: OMCL) has been creating new efficiencies to improve patient care, anywhere it is delivered. Omnicell is a leading supplier of comprehensive automation and business analytics software for patient-centric medication and supply management across the entire health care continuum—from the acute care hospital setting to post-acute skilled nursing and long-term care facilities to the home. More than 3,000 customers worldwide have utilized Omnicell Automation and Analytics solutions to increase operational efficiency, reduce errors, deliver actionable intelligence and improve patient safety. Omnicell Medication Adherence solutions, including its MTS Medication Technologies brand, provide innovative medication adherence packaging solutions to help reduce costly hospital readmissions. In addition, these solutions enable approximately 6,000 institutional and retail pharmacies worldwide to maintain high accuracy and quality standards in medication dispensing and administration while optimizing productivity and controlling costs. Additional information is available at www.omnicell.com.